Esri Story Maps apps are easy to author, but you’ll likely need to put in a little extra effort to craft a truly great one. Like playing the guitar, it’s easy to learn the F, C, G, and E chords and start strumming away. But if you want to become a true virtuoso, it will take some thought, study, and preparation—even practice. Here are 10 steps for success that will help you build awesome story maps. The Story Maps website is the best place for information and resources that can help you author great story maps. Bookmark it. From galleries to featured story maps to blog posts and tutorials, it’s where you should go to learn and start to build your stories. 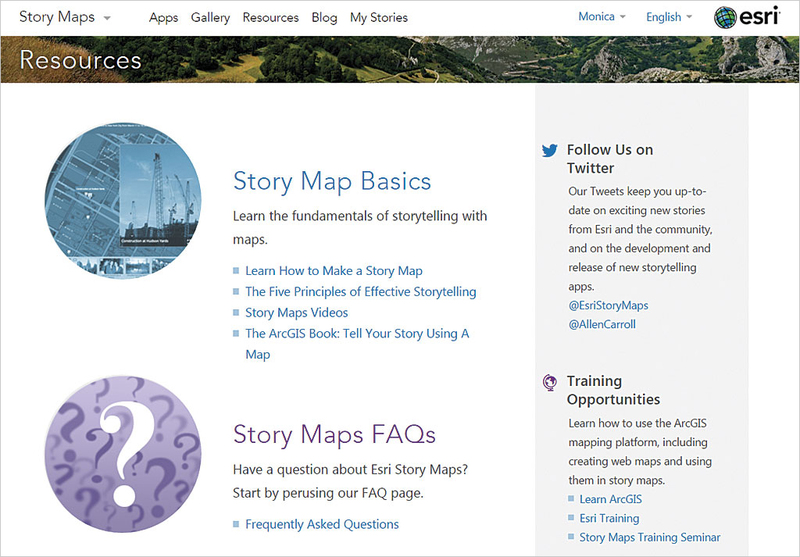 The Story Maps website is where you should go to learn and start to build your stories. A great story map requires inspiration, an idea, and some thought. Think about how you want those ideas and inspiration to unfold. Envision how a viewer might experience your map. Sure, you can dive right in, but spending a little time mulling things over will make it easier to organize your story, hone it down to the essential elements, and find the right story map to bring your story to life. Which brings us to Step 2. There are a number of story map apps to choose from, and most include different layout options. Which is the best one to tell your story and unfold it in a compelling way? Answering that question will require some review and perhaps some experimentation—perhaps even repeating Step 1 until you are satisfied. Browse the Gallery at the Story Maps website and be inspired by what others have done. Filter the gallery by choosing a story map type and see what each can offer. You can also filter by subject, industry, format, and author. Just scroll down and look along the left side and choose. Use the Create Story option to guide you to the right app. You’ll find the Create Story button on the Apps page. After you click it, you can either click Pick an App from a catalog of choices with concise, single-sentence descriptions or click Ask the Pros to be guided to a story map by answering questions about your story and how you want to tell it. Browse the gallery at the Story Maps website and be inspired by what others have done. A great story map includes great maps and multimedia and narrative text that is both interesting and informative. A great map is visually appealing, simple, focused on the story, and performs well. All these attributes require a bit of tradecraft. You’ll find lots of resources in the ArcGIS Online help and ArcGIS Blog to help you learn how to make great web maps that perform well. Don’t overlook those little details. Make sure your pop-ups are configured, the layer names make sense, and the symbols are clear and well chosen. Media (photos and videos) should also be optimized for web use. 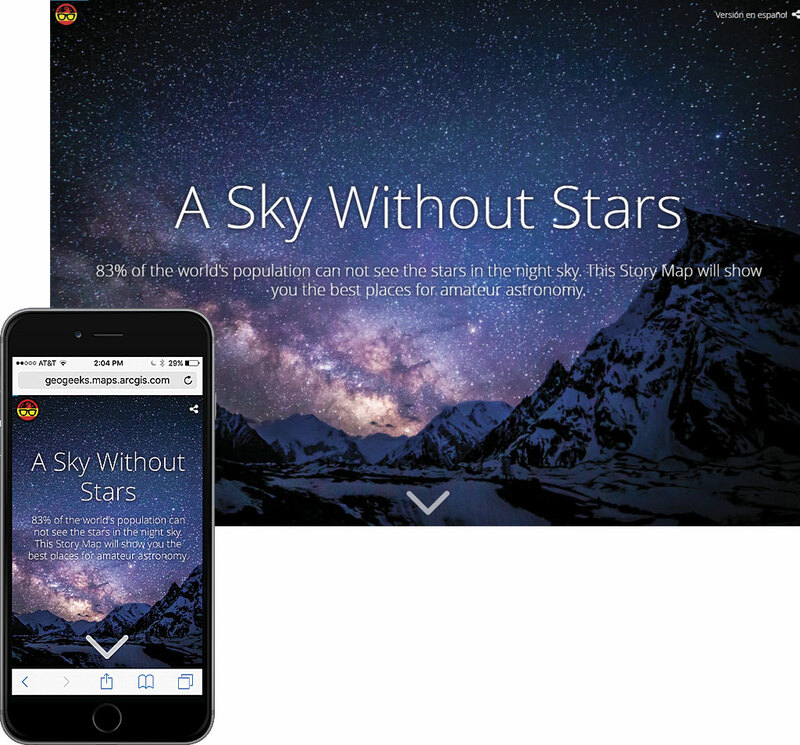 Make sure image sizes are appropriate for the way they will be used in your story map. Using a 5 MB photo is never a good idea in a web app, especially when it will be used as a thumbnail. Media storage should also be considered. Flickr is great for photos and can provide your images at different sizes and resolutions as a built-in capability, and the Story Maps apps are smart enough to fetch the appropriate size from Flickr. If you’re storing your images elsewhere, you may need to do the resizing and optimization work by hand. Your text and narratives, including the title and subtitle, should be clear and compelling. Avoid using jargon and acronyms that might be confusing to viewers unfamiliar with the topic. Use a tone and style that lure viewers in and engage them so they will continue the journey through your story. You’ve got ideas, maps, and media. You have given some thought to the best story map to use. Now it’s time to take a first cut. Launch the Story Map builder. It will guide you through the steps. Although it almost always delivers the best results, don’t be afraid to challenge the defaults and experiment. As you build, it you’ll know what works and what doesn’t. When you’ve finished your first pass, squint hard and scrutinize your work. Then move directly to Step 5. Take a step back and consider the story’s merits. More importantly, consider, its shortcomings. What works? What doesn’t? Are you missing maps or graphics or do you have too many? How can your story be enhanced? Think about the narrative. Is there too much or not enough? Keep refining it to see how you can improve the overall result. Don’t be afraid to consider another story map if you find yourself wrestling with the one you’ve chosen. Whether you’re on a mission to highlight the plight of endangered species or showcase your city’s improvement projects, too much information or a lengthy story can cause your viewers to tune out, lose interest, and become distracted. Simpler is always better, and simplicity will increase the odds your story will be viewed from beginning to end. Flickr is great for photos and can provide your images at different sizes and resolutions as a built-in capability, and Story Maps are smart enough to fetch the appropriate size from Flickr. Go back to Step 5, and repeat it as necessary. I repeat: Go back to Step 5 and repeat it as necessary. So you think you’ve created a prize-winning story map. 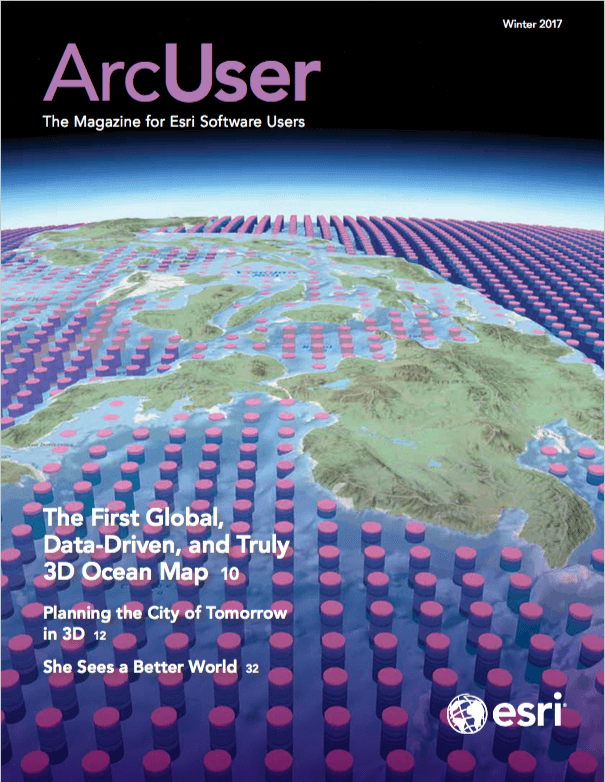 You are sure it will be highlighted at the next Esri User Conference. You are enthralled by your clever work. You love your maps, your media, and your narrative. But—swallow hard here—your opinion really doesn’t count. The goal is to tell your story before an audience larger than you, its proud author. Before unleashing your story map on the world, have others take a look at it. Wear your thick skin. That map or graphic you worked on for hours and are so happy with might be the first thing that someone else looks at and says, “huh?” Those main stage actions that you puzzled over for an eternity might leave your viewers confused. Having others who don’t have your personal investment in the story provide a review is invaluable. Toughen up and listen to what they say. It's always a good idea to test your story map in environments different from the one in which it was authored. It’s always a good idea to test your story map in environments different from the one in which it was authored. You may have authored it using your awesome Apple 27-inch Retina display, but your audience might be viewing it on a dusty 4:3 monitor, bargain tablet, or an old Droid with a cracked screen. While story maps are responsive and will accommodate any size, that two-sentence description on your large monitor might mean scrolling for those less fortunate. Think about the size/device sweet spot for your target audience. Try your story map in different browsers. While the story map will work in any browser, there may be issues with some of the media you’ve chosen to include. It’s also a very good idea to clear your browser cache and test the story map as an anonymous user. Clearing browser cache will reveal images that are too large and other web bottlenecks. And testing as an anonymous user will shake out any access issues. 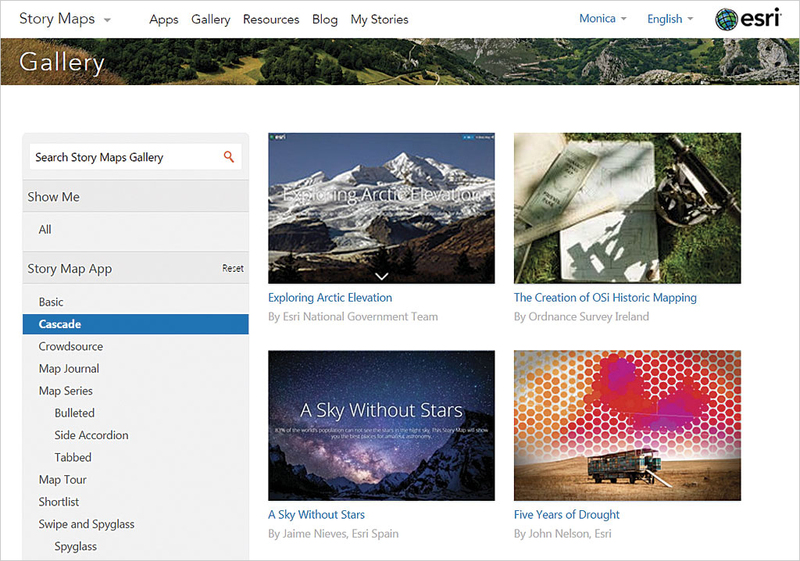 While logged into ArcGIS Online, use My Stories to view all your story maps. You’ll find My Stories at the far right along the top of the Story Maps website. 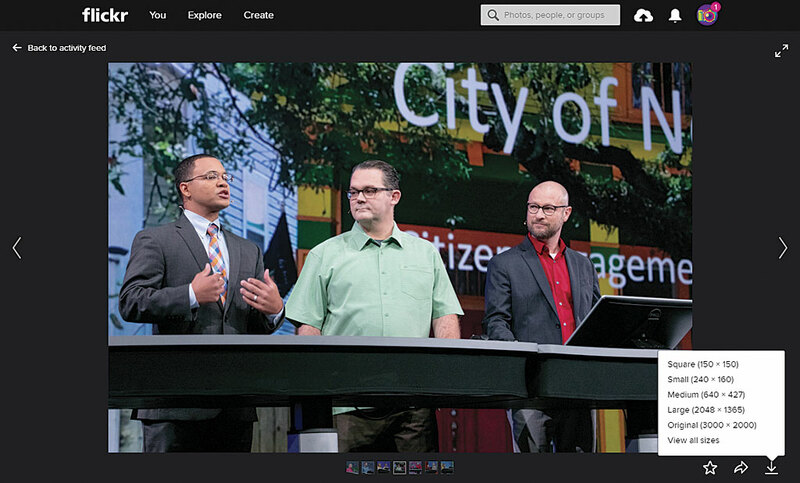 Think of it as a lens applied to your ArcGIS Online content. It not only lists your story map apps, it also has some really great tools to help you manage and share your story maps. Use My Stories to check for subscription or premium content, maps, images, or media that are not available. Click Check Stories or just click the title of the story map for a thorough inspection. If something is amiss, you’ll get the red flag noting the issues and offering tips for how to remedy them. When everything checks out, you’ll get a green banner. Tip: Set Delete Protection for the maps and other items used by your story map that are stored in your ArcGIS Online account so that they’re not accidentally removed. Check the box for Delete Protection in the Settings tab in the Item Details pages and click Save. Your story map deserves a broader audience, so share it widely: Tweet it, blog it, or post it on Facebook. Congratulations! You’ve got a great story to tell. Now it’s time to socialize and share it with others. Your story map might be only for internal use, but it’s still important to share it. Make sure you’ve got a great thumbnail. It will be an essential part of your story’s appearance in ArcGIS Online and when you socialize it. Click on the default thumbnail on the Item Details page to replace it. Your story map deserves the accolades of a broader audience. Add it to your organization’s home page gallery. Email it to your colleagues. 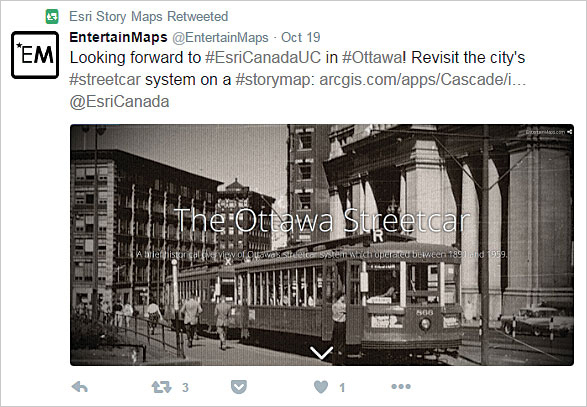 Most story maps are public, so add the link or embed the story map on your website. Add it to your blog, Tweet it, and post it on Facebook. Share it widely. Making story maps is easy—like learning those basic guitar chords. 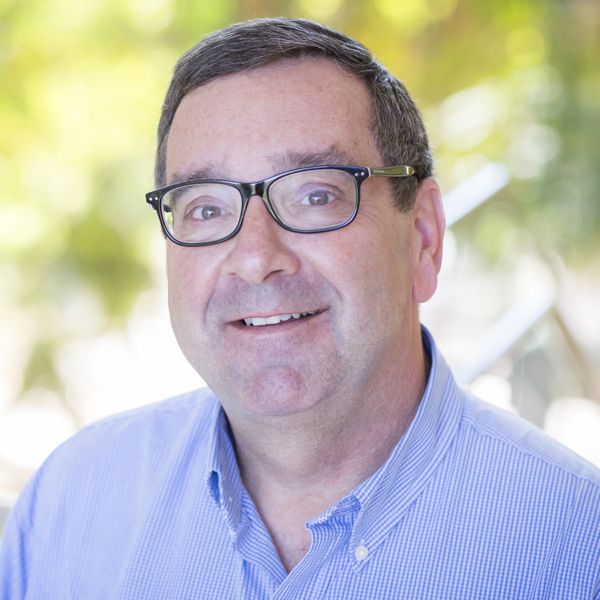 The hardest parts—and the parts that elude even seasoned GIS professionals—are telling the right story for your audience, developing the correct narrative, and getting the best media and maps you can. Following the steps suggested in this article can help you put your best story map forward.